A vaccine is a preventive medication given to people to help their bodies improve in immunity to protect them from a specific disease. Vaccines keep you away from life threatening illnesses by making the antibodies against the disease. Many of the vaccines given to people are to prevent them from diseases that are very dangerous and many times deadly. Just like any medication, vaccine keeps you safe from many infectious diseases. All vaccines can cause some potential side effects in some people, but the reality is that most side effects tend to be mild and don't last long. In most cases, vaccine side effects are minimal and self limiting and vary according to the type of vaccine. Sometimes, you may experience a serious reaction after immunisation which can be an unexpected symptom or sign associated with the immunisation. That's Why you are always advised at stay for 15 minutes at the clinic following the vaccination to check whether any further treatment is required. Bowel blockage following the vaccination is very uncommon. This may occur within seven days following the first and second dose of vaccine. This is a rare complication associated with vaccination that they happen about 1 in 17,000 babies. Serious reactions associated with vaccines are very rare. Call your healthcare provider, if you find any unusual symptoms in your child following the vaccination. If you see any of these symptoms, talk to your child’s doctor provider right away. Vaccines are safe, effective, and necessary for every child. Vaccination has a lot of invisible benefits. If you say no to vaccination, it may put your child or the community at risk of catching certain life-threatening diseases. Vaccination keeps your child safe from debilitating diseases now and in future too. They are much safer in almost all cases. Just like any other medication, vaccines are continually monitored for safety with certain side effects. 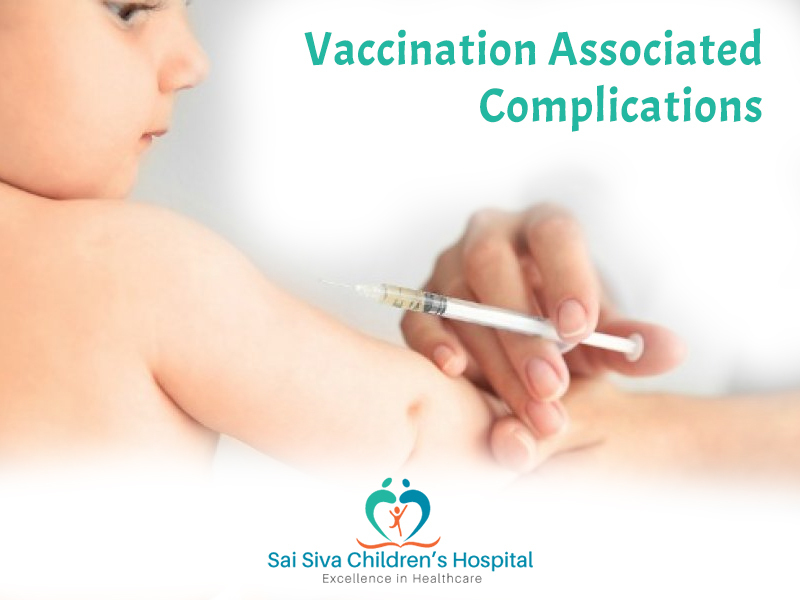 However, a decision not to immunize might keep your child at a risk and could put the child and others coming into contact at the risk of contracting a potentially deadly disease. Sai Siva Children's Hospital, Chanda Nagar, is a full-fledged medical facility specially designed for pediatric patients as well as young adults. The hospital was started in the year 2008, with the aim of reaching out to schools and villages to educate the middle and high school students about health & hygiene. Sai Siva Children’s Hospital is one of the most sought-after children’s hospitals in Hyderabad with a team of experienced doctors and skilled staff who aim to help your child have healthy growth and development. We believe that children today are the future of our world, and must have good health to make the world a better place to live in.